Read this article on Muscle & Fitness! 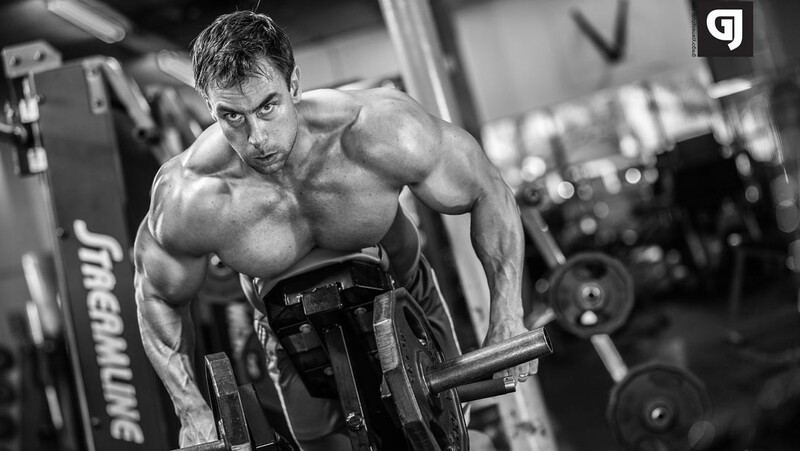 Give this intense training approach a try to stimulate those lagging muscle groups. This workout is not for the faint of heart, but if you give it a try, you’ll realize that it is one of the best plateau busters there is. I’m talking about the 100 reps training system. Yes, you read it right, I am suggesting that you do 100 reps of an exercise. What?! Why such a ridiculous rep number? It pushes your mental pain barrier so you’ll be capable of performing at a higher intensity during your other workouts. It gives you a monster pump, which makes you look awesome (for 20 minutes). It improves capillarization within the muscle, which makes it easier to transport protein and water to the muscle. It increases the glycogen reserves within your target muscle. A larger glycogen reserve allows for a higher training volume going forward. All of the above will set the stage for further growth. Now, how about the actual implementation of the 100s into your current training program? The 100s truly shine when a lagging muscle group needs to be brought up to speed. You would perform one workout of the 100 reps system for said muscle group over a 5-6 week period. For this workout, pick a weight that’s about 30-40% of your regular training weight and perform 40+ reps. After that, rest one second per rep that you are missing toward the magical number 100. This would be a sample workout for a lagging muscle group. You can modify it for any muscle. This workout is an excellent ego check. I would highly recommend staying away from free compound exercises, and training mostly with machines since fatigue and pain reach a whole new level on this program. As an example, 100 barbell squats can be potentially fatal, whereas 100 leg presses will only make you run for the bathroom. Ideally, you want to add a second workout for that particular muscle group within the week, which should be more in the realm of 6-12 reps. The 100s is not a workout I would attempt while dieting, since your energy levels would not be up to speed. Ideally, you’ll want to eat 2-3 meals before the workout. Think 30-50 grams of carbs and 30 grams of protein per meal. If you are on my schedule and train in the AM, have a big sushi or pasta dinner the night before. In terms of supplements, adding some creatine before and after the workout would be a good choice in order to maximize cell voluminzation. 300 mg of caffeine along with 3 grams of L-tyrosine and 400 mg of L-theanine would be perfect to put you in work mode without being over-stimulated. If you give the 100s a try, it will stimulate new growth in your body. In addition, it will create a much greater mental toughness, which will then spill over into your other workouts. Enjoy the five days of soreness afterwards. Previous post: Bulletproof Coffee – The Breakfast of Champions?